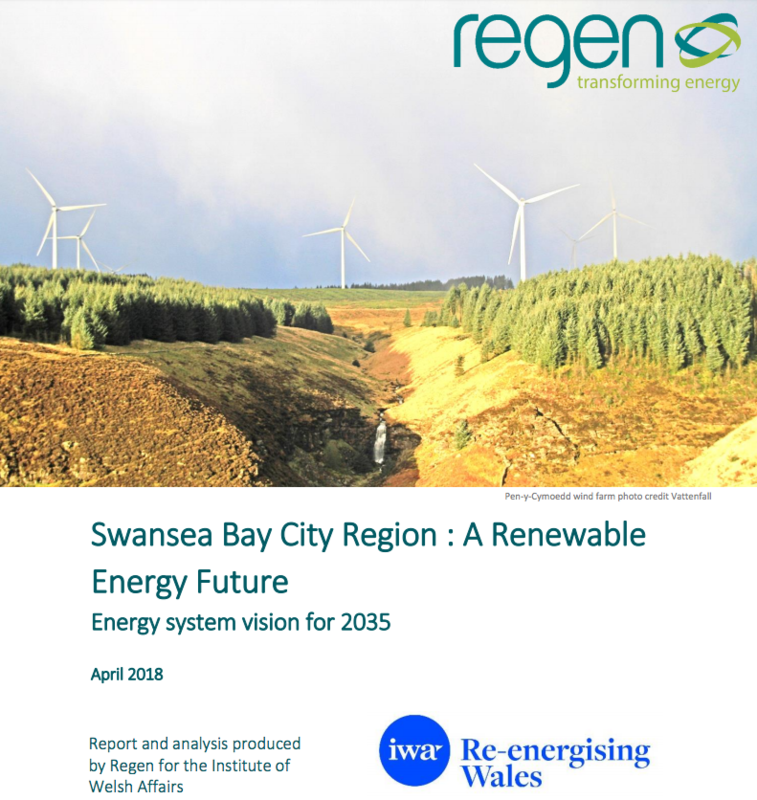 The Re-energising Wales project ‘Swansea Bay City Region : A Renewable Energy Future’ report, has used the Swansea Bay City Region (SBCR) as a case study to show how to make the most of renewable energy potential on a regional scale. The model we have developed is openly available for use by regions and cities across Wales, the UK and beyond. Our report raises a number of key opportunities for the SBCR and Wales and suggests how to make the most of the region’s renewable energy resources. In partnership with Regen, we have produced a detailed report which can be downloaded here.